I recently had my family over for dinner and I made this Key Lime Pie. My inspiration was a Key Lime Pie we ate numerous times in Palm Springs. My stepson TJ mentioned he liked the chewiness of my graham cracker coconut crust and that is how it should be, not dry and crumbly. 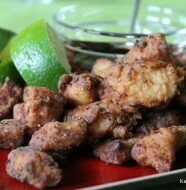 Once you finish squeezing and zesting the limes, the recipe moves along quite quickly. Make it a day ahead for convenience, the cream can be whipped and held for a few hours in the refrigerator, but add to the pie right before service. 14 oz. (414 ml) sweetened condensed milk- in Canada the only cans of condensed milk I have found have 300 ml or about 10 ounces, so you will need about 1 1/2 cans of condensed milk. 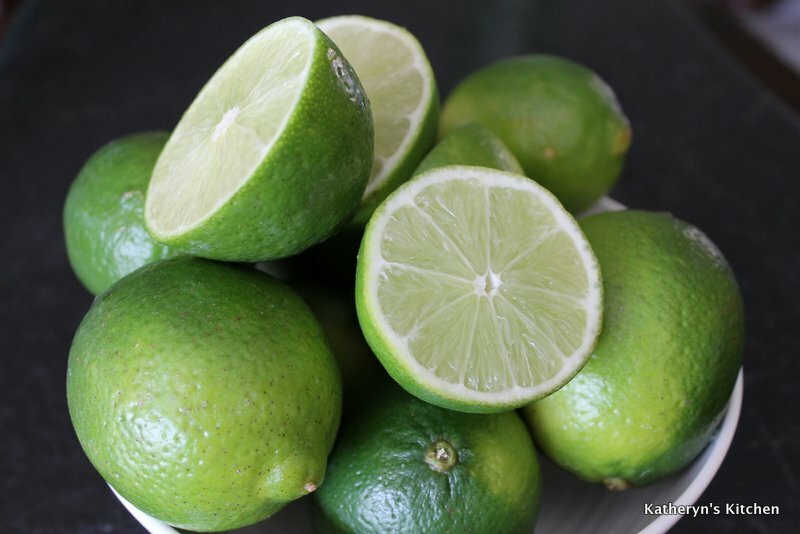 1/2 cup fresh Key Lime juice- if you can’t find Key limes, regular limes work just as well- please also zest a few limes to equal 1 tablespoon of lime zest. 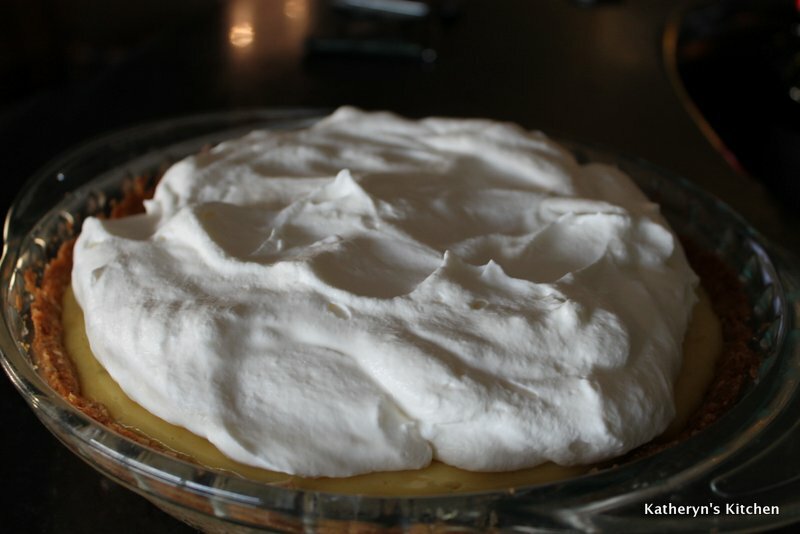 1 1/2 cups whipping cream-the cream can be whipped a few hours before you top the pie with it. 1. 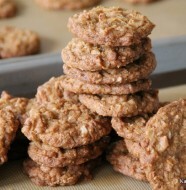 Heat oven to 350 degrees F. Mix together graham cracker crumbs, coconut, sugar and butter in a medium sized bowl. Press mixture evenly into a 9-inch glass pie pan ( deep dish is also fine). Make sure the mixture covers the bottom and sides of the pan. Bake on a rack in the middle of the oven for 10 minutes. The crust will shrink just a tiny bit. Remove to a wire rack and cool. 2. Whisk the egg yolks until they thicken slightly, about 1 minute. 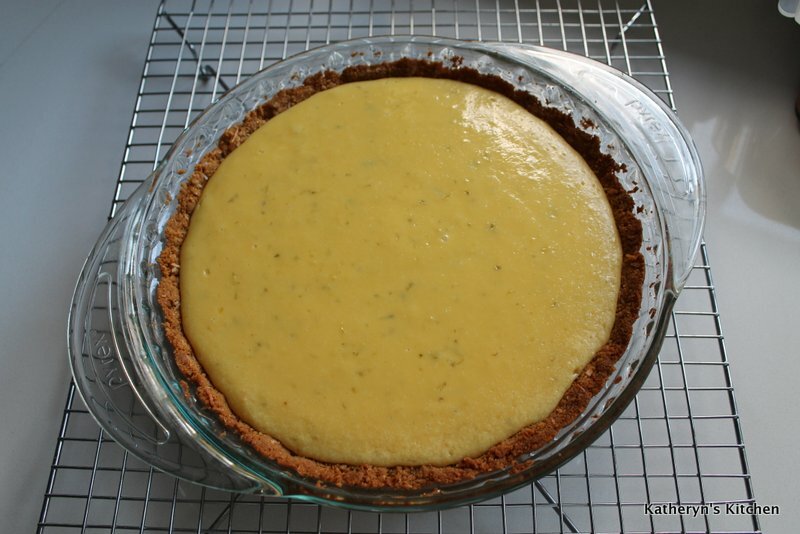 Gently whisk in the sweetened condensed milk until combined, then whisk in the lime juice and lime zest, the filling will thicken a bit. 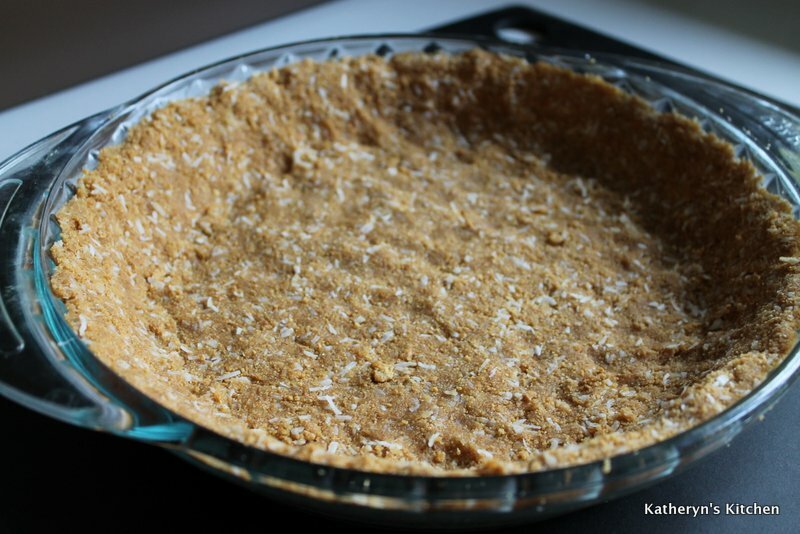 Pour filling mixture into the cooled crust and spread it evenly. Bake in the 350 degree F oven, on the middle rack for 20 minutes. Cool pie on a wire rack and then chill for at least 6-8 hours or overnight. 3. About an hour before serving the pie, chill a metal bowl and the beater for whipping the cream. You will be surprised at how much more quickly the cream will whip in a chilled bowl. In the chilled bowl combine the whipping cream, icing sugar and vanilla. Beat on medium high speed until you have firm peaks. Spoon the whipped cream over the filling of the pie. Slice and serve. 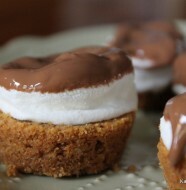 2 Comments on "Key Lime Pie"
Awesome! I love Key Lime and I KNOW this is going to taste 1000 times better than bakery bought. You are a doll Hannah, thanks so much, enjoy the weekend and the barbecue!! Just make sure the filling has time to set, so make tonight or tomorrow morning!